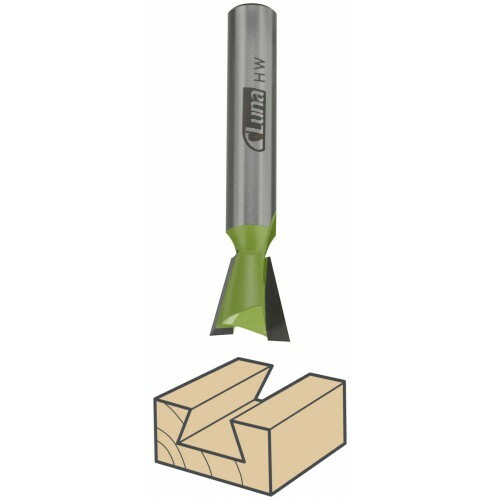 Tungsten carbide. Lettering bits: series 21015 three-fluted made of tungsten carbide. 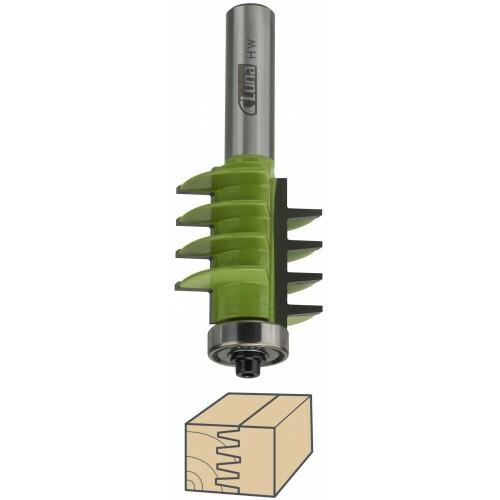 Beading bits: series 21016 double fluted with bearing. 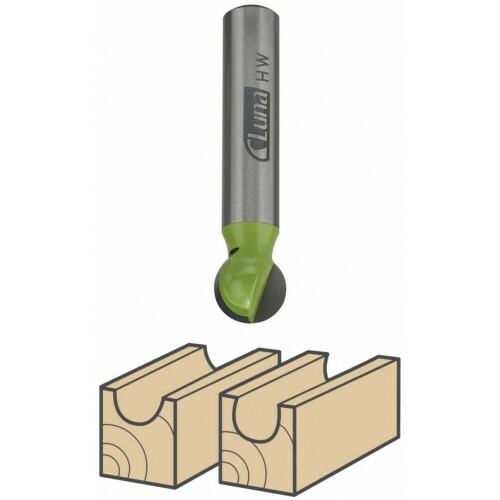 Moulding bits: series 21017 double fluted. 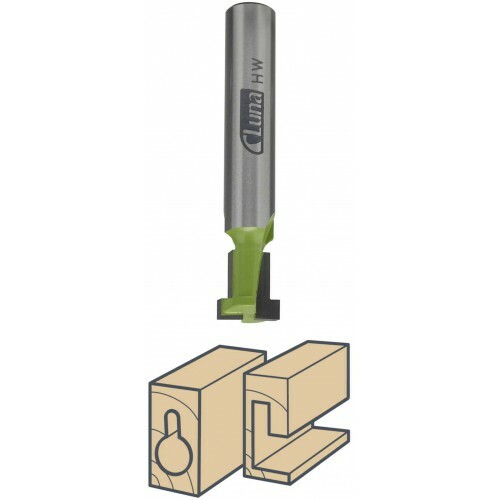 Channel bits: series 21018 bottom cutting without bearing. 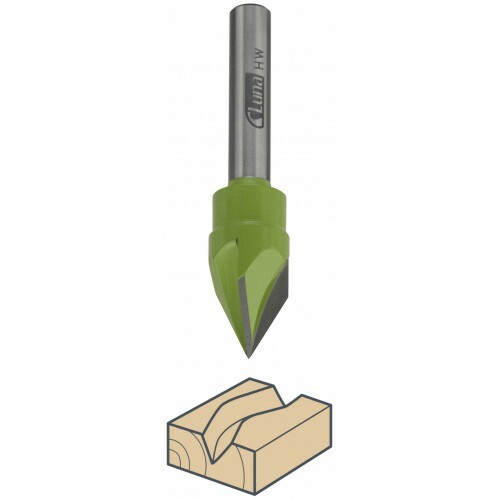 Dovetail bits: series 21019 without pilot, series 21020 with pilot for small chips and space for glue expansion. 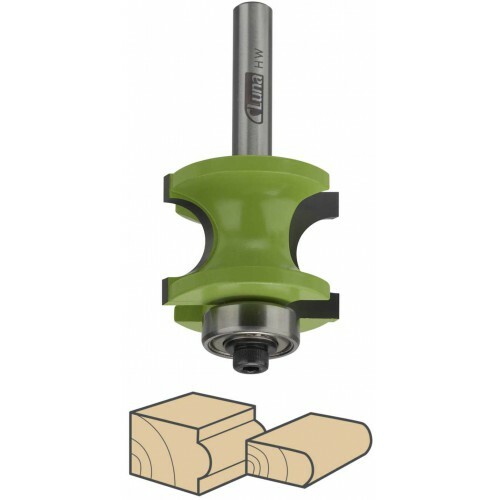 Finger joint bits: series 21021 with ball-bearing. 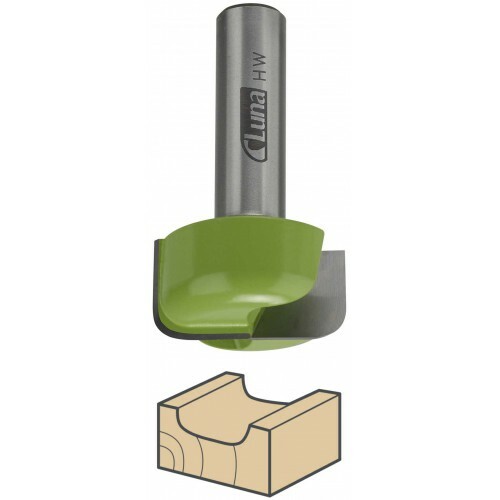 Keyhole bits: series 21022 double fluted for hanging holes.